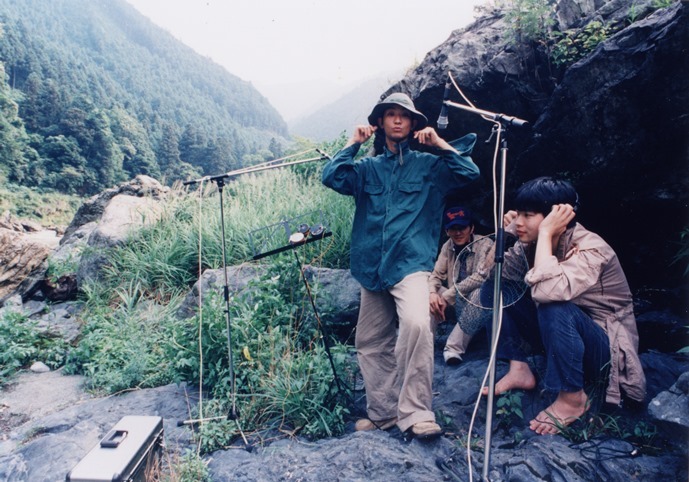 Fishmans　was an influential Japanese dub band formed in 1987. They were ranked number 83 in a list of Japan’s top 100 musicians provided by HMV, and are renowned for their unique sound and the distinctive vocals of lead singer Shinji Sato. The band was formed in 1987 by Sato (vocals, guitar, trumpet), Kin-Ichi Motegi (drums, vocals, sampler) and Kensuke Ojima (guitar and vocals). The addition of Yuzuru Kashiwabara (bass) and Hakase (keyboards) rounded up the original line-up. Their first recorded appearance is on the 1989 Compilation Panic Paradise. Two years later, their first album Chappie Don’t Cry was released. The band’s easy-going sound (mainly influenced by Reggae and Dub, but also including elements of rock, pop, drum & bass, hip-hop, etc. ), coupled with Sato’s androgynous vocals, gained them acceptance in Japan’s underground scene. Fishmans released several albums on Pony Canyon records, slowly moving away from a strictly reggae sound, but always keeping a Dub foundation, powered by Motegi and Kashiwabara’s rock-steady rhythm section. In 1995 they signed with Polydor Records. By this time both Kensuke Ojima and Hakase had left the band. Neither was replaced, and the resulting trio would work with a series of guest musicians on their next records, mainly honzi (keyboards, violin, accordion and vocals) and Darts Sekiguchi (guitar). The addition of Zak on sound mixing rounded out this second phase of the band, which further evolved its sound to incorporate space rock, ambient and shoegaze elements. Song length started to grow as well, as these new tendencies blended in with their dub foundation.